Thank you for visiting our website. We are a team of passionate individuals who are committed to providing the very best in dental care for your whole family. Please get to know us. We proudly offer a complete range of dental services using cutting edge technology. Learn more about our services. Our office is conveniently located in Barrhaven, just beside Ross’ Independent Grocer. To help you find us, please check the map and bus schedule on our contact page. Please contact us. We will be happy to arrange your first visit with us. Fantastic dentist and staff! Dr. Amlani really cares about her patients. Very dedicated, professional and Honest. Go see them if you need a new dentist! Amazing with kids and adults who maybe haven’t been to the dentist as much as they should be! Highly recommended! Great hygienists and dentist. I’ve been a client for almost 20 years. Our whole family goes and Dr. Amlani is amazing with our children. The staff are great with “nervous” patients too…kind and reassuring. Having a dental office like Barrhaven Dental Care is a real relief. My husband & I and our three children all visit Barrhaven Dental Care. The staff is excellent with our children putting us (and them) at ease. 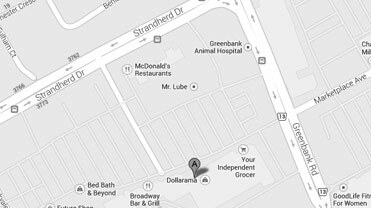 Barrhaven Dental Care is centrally located. A short drive from Kanata and I’m there. Convenient and excellent staff that I trust. Experience five star care. Book an appointment today by clicking "Make an Appointment" and calling us. Our philosophy is to provide quality dental care in a trusting and respectful environment. We are committed to building a lasting relationship with you and your family and we believe that your dental care should be comprehensive, with outstanding customer service and warmth that sets our office apart from others. 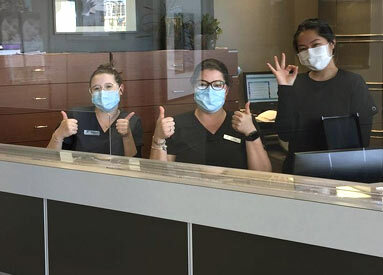 From your first visit at our office you will be treated like a friend and our dental team will work hard to assist you with any concerns, to ensure your comfort and to make sure your experience is a pleasant one. We hope to gain your trust and respect by providing excellent patient care. Need help with insurance benefits? Our office will assist you by submitting claims electronically on your behalf. At your request, we can also submit estimates for advised dental treatment. Please remember to bring your updated insurance information (carrier’s name, policy number, certificate number and policy holder’s date of birth).